Telangana Intermediate 1st, 2nd year Exam Time Table 2018 available at bie.telangana.gov.in. Students can check TS Inter 1st year time table, TS intermediate 2nd year Time Table 2018 date wise below. 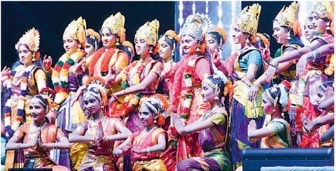 Telangana, Its Popular for Quality Education For Junior/ Senior Intermediate and 10th Class. After Bifurcation of telangana and Andhra Pradesh both are Keeping AP and Ts intermediate Exams Separately. 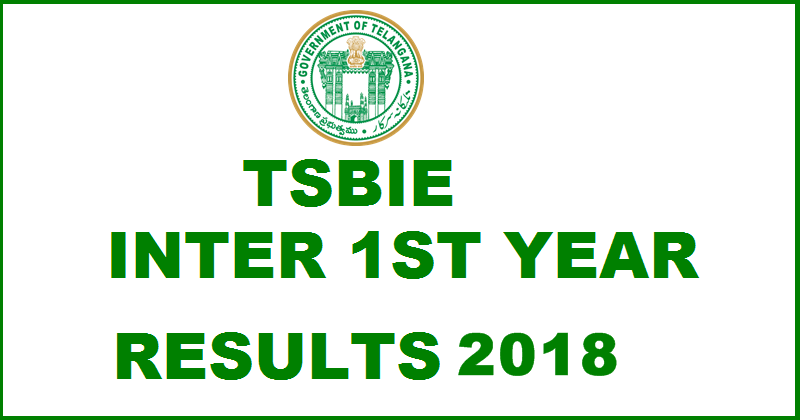 TS intermediate board had Decided the Primary Dates for TS Intermediate 1st, 2nd year Exam Time Table 2018. The Intermediate Exams sent to Government for Approving without any clashes Between one another exams. Candidates who are Appearing for the Junior/ 1st year Exams 2018 for any branches in MPC, MEC, CEC, Bi.P.C and Other Branches can download the Time table of TS Inter 1st year final exam time table 2018 from Below. TS Inter 1st year Exams 2018 Starts From 01 March, 2018 to 19 March, 2017. TS inter 1st year/ Junior Exams will be Conducts in Several Centers across telangana in several Districts. 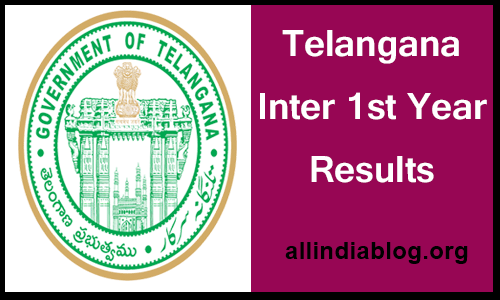 Telangana Intermediate 1st Year 2017 Official Time Table Download From below given links. All Candidates those who are writing the TS inter 2nd year exams 2017 they can download the BIE Telangana inter Senior Inter/ 2nd year Exams time tables 2017 From bellow. 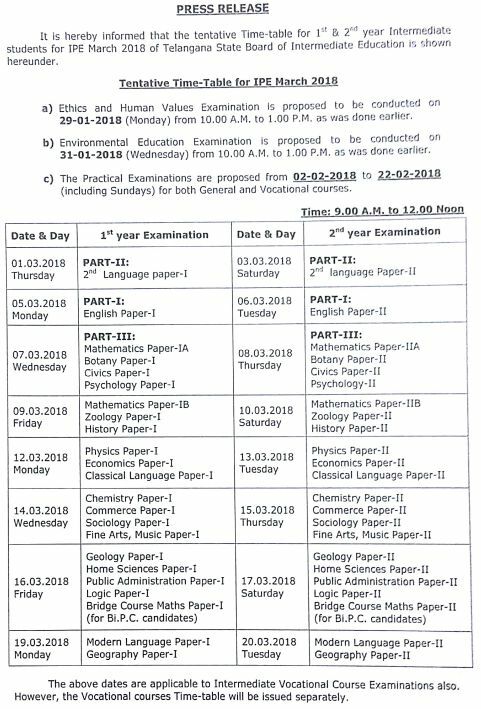 As Per official notification, TS inter 2nd year Exams 2017 starting From 03 March, 2018 to 210March, 2018. Telangana inter 2nd year exams will be conducts in several schools and colleges Center wise. The Official Time Table of TS Inter 2nd year Download from below given links. a) Ethics and Human Values Examination is proposed to be conducted on 29-01-2018 from 10.00 AM to 1.00 PM as was done earlier. b) Environmental Education Examination is proposed to be conducted on 31-01-2018 from 10.00 AM to 1.00 PM as was done earlier. c) The Practical Examinations are proposed from 02-02-2018 to 22-02-2018 (including Sundays) for both General Intermediate and Vocational courses. How to Download TS Intermediate 1st, 2nd year Exam Time Table 2018? 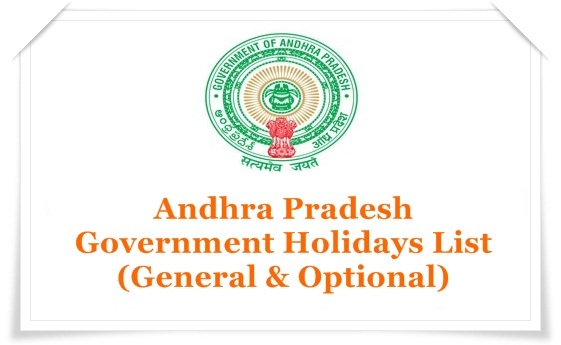 Open bie.telangana.gov.in or click on above links. 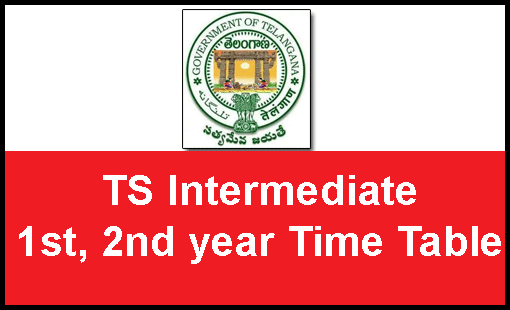 Check TS Inter 1st/ Junior Inter Exam Time table 2018, TS Inter 2nd year Exam time Table 2018 links. 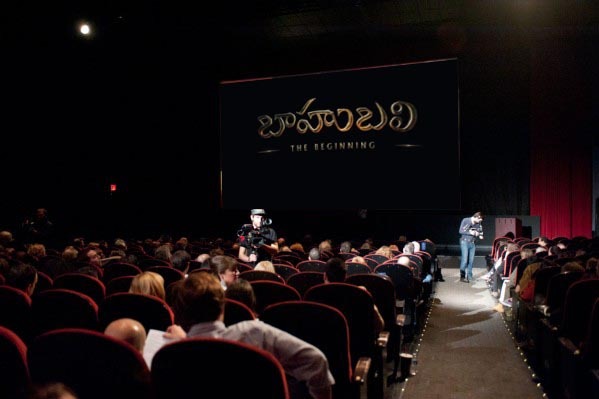 Click on that link and Download Option. 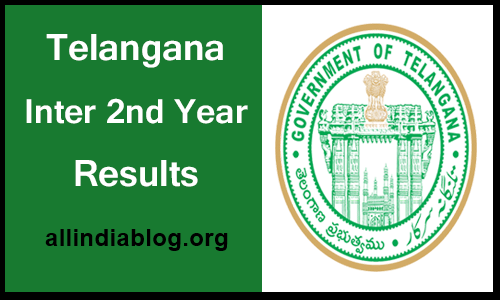 Download and Save the Time tables of telangana inter 1st year & 2nd year 2018.